It’s a no brainer that the most used website in the world is Google. Recent statistics put the search engine at bringing in about 1.1 billion monthly views – no, not million. Billion. Being more accurate, that’s 1.1 billion unique visitors every month, which actually makes their total view count astronomical. What site would you guess comes in second, though? Aside from Google, what website is more frequently viewed than almost any other site in the world? You probably have some good guesses, like Facebook, Amazon, Twitter, Wikipedia. Something along those lines. All of these views also equate to a lot of good revenue. Website ExpandedRamblings.com estimated that the video viewing site made about $4 billion last year alone. This money was made via about 4 billion views per day, aka 6 billion hours of video every single month from the 300 hours of video uploaded to the site every minute. You’d think with all of this venue coming in to YouTube that more businesses would be in on the idea, and there are indeed a lot of major players in the business world using the site – but they’re all big guys. Small businesses haven’t caught on to the YouTube bug yet, and less than 10 percent of US-based small businesses are using the site. This simply doesn’t make any sense when you take into consideration that the biggest and most powerful demographic in business right now – millenials – use the site in droves. Seventy-two percent of the generation are using YouTube and they hold the economy in their hands right now. First, it’s time to start using YouTube. It’s as simple as that – this shouldn’t be a marketing platform you ignore any longer. Go make your account and come back to read more about how to start using YouTube valuably. Now that that’s out of the way, know that YouTube is just like any other site you use. It is effected by SEO just like your personal site, your business site and your social media pages. Video SEO and YouTube rankings have their own methodology to them, and your goal is to get your videos as high up on the search ranking system there as possible. You’ve already made your account, so now you need to start setting it up. Even content creators that focus only on YouTube have to worry about their brand and image on YouTube. That’s right – someone who makes their living doing canned baby food challenges and talking about their trip to Ulta have to do the same SEO work that you do as a business owner. Your channel name should be unique – if you’re working off of your business, which is wise, then you’ve already got that part figured out. Also upload your brand logo as a banner or icon. This lets consumers know that they’re dealing with the real deal. When it comes to filling out your accounts biodata (site, name, information, etc), fill out as much as possible. Also make sure that you select a vanity URL. Default YouTube accounts have URLs with a bunch of added info to them – numbers, letters, etc. Your vanity URL is simple, short and easy to recognize as your URL, no one else’s. It also allows others to find you mush easier. You won’t be able to do this immediately – YouTube now has limitations on creating vanity URLs, like how your account must be older than 30 days, you have to have more than 500 subscribers and your profile must be unique and updated. In your account information, you should see a section that says “channel keywords.” This is where you can plug in buzzwords that can be associated with your account. Don’t just toss in any random words, though – use Google’s keyword planner tool to find keywords that your audience is looking for that relate to your business, then plug in ones that are relevant to your channel. Your video descriptions can also be SEO friendly. 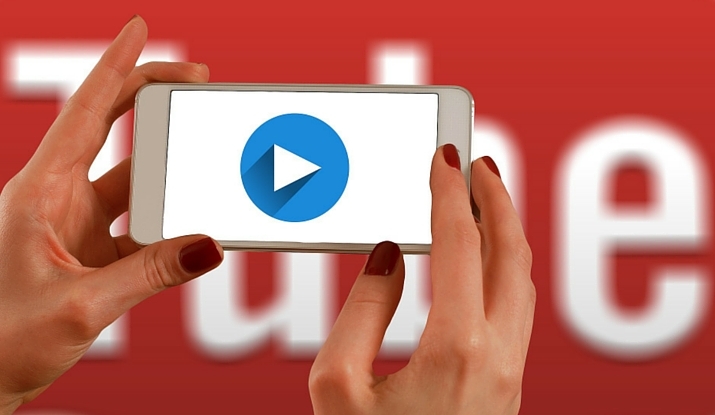 Search engines love to display videos that are relevant to the search parameters someone is looking for, so a video with SEO properties is a video that will succeed. Never forget that SEO should be people-focused. You want people to find your content based on how they would realistically look for it. If your business focuses on carpet cleaning, you’re going to get more views with simple titles like “Simple Tips for Removing Wine Stains from Carpet” instead of something long and convoluted. Your video has its own description, of course, but when you go to the search engine results, you’ll also see another description attached to the video. This description can honestly be more important than the copy you actually have on YouTube. This short video description is the only context your potential viewer has for your video before they actually click on the link. It’s always important for you actual content to be quality and valuable, but if you don’t focus on SEO and brand marketing on YouTube, how will anyone ever find your content to begin with?